Playtime is over and it's way past your bedtime. Dad usually reads a story but he is nowhere to be seen. 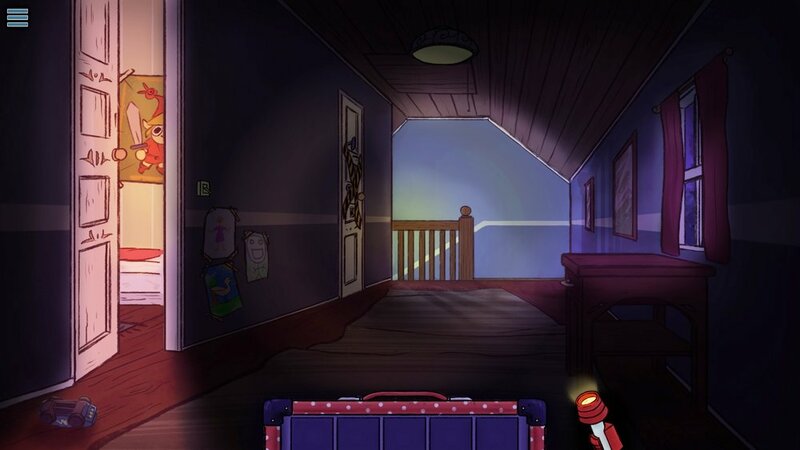 You need to explore your own house after dark find your dad so you can hear you Bedtime Saga. 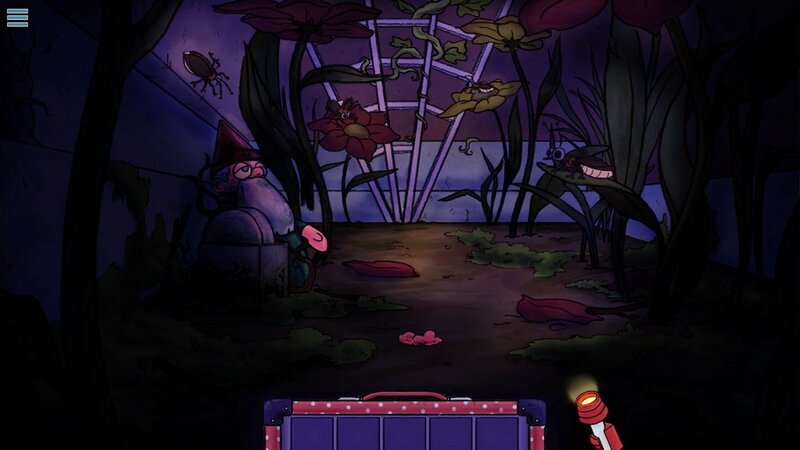 The game is a puzzle based point and click containing both puzzles, mini-games, twists and turns. 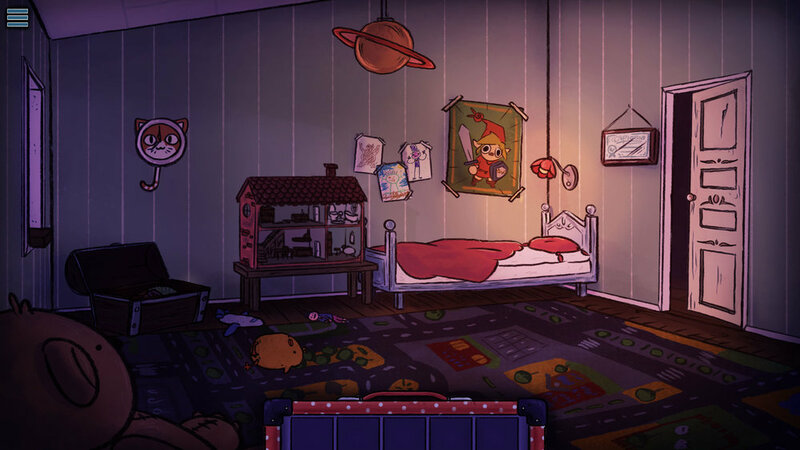 Bedtime Saga was the first game I made at The Game Assembly and while everyone in the team was excited we were quite inexperienced. We started out by setting up a scenario and length and since it was a point and click based game the level design was in many ways more game design. Starting out with pen and paper I wanted to create basic puzzles that draw upon intuitive knowledge that most individuals have. Using colour and timing as ingredients I felt like the puzzles could fit into the child-like setting that we had chosen. I also wanted to incorporate some level design and constructed a darkness based puzzle. 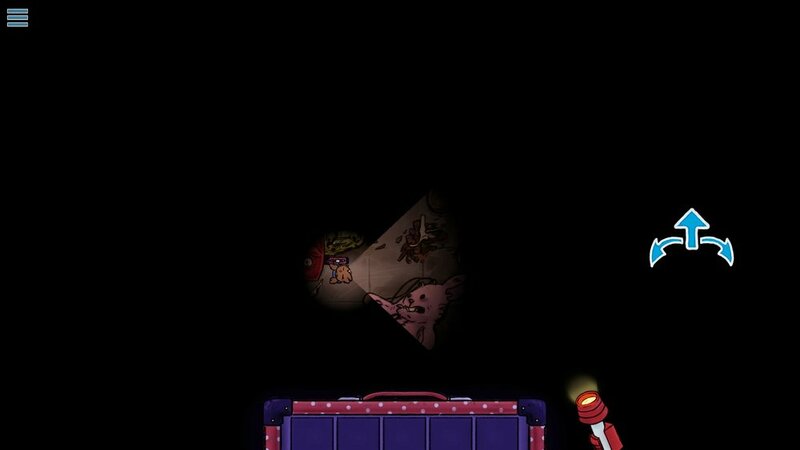 The player should, after getting shrunk, navigate through a rat-hole using a flashlight to guide the way. My idea at the time was to use this as the abyss from heroes journey. The first puzzle I made was based on color. 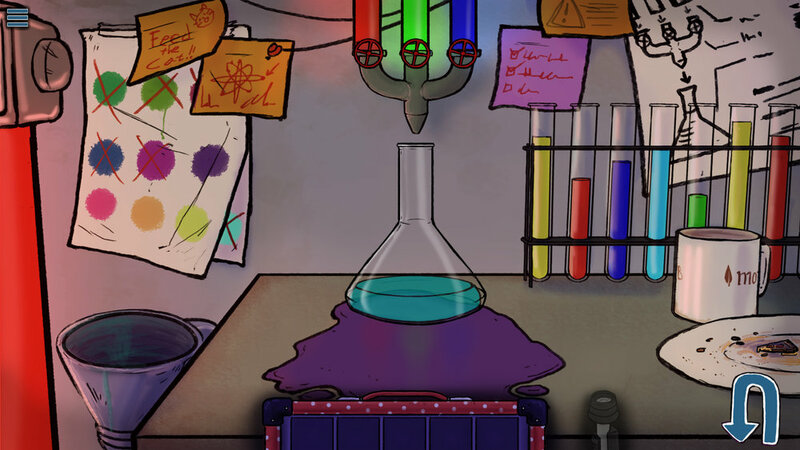 In order to mix Red green and blue the player should match up the spill liquid on the table with the one in the flask. 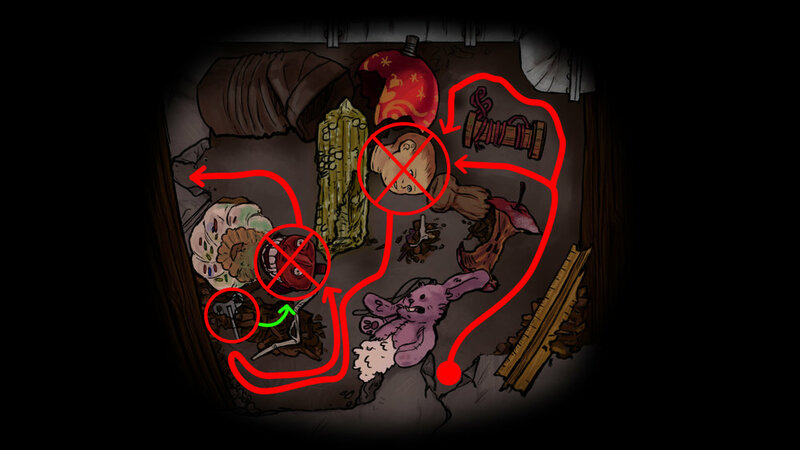 The layout of the RatMaze. interactables in the circles had to be removed. The head by clicking and the teeth by using a item. In order for me and my co-designer Jonas Lagerqvist to build the rooms of the game Oliver Andersen created a level editor. With it we could place the assets in space and layers enabling us iterate rather than working with a set images. Since many of the room relied on pickups we could place them in suitable locations. We could use this system to get early placeholders in the game and try out the order in witch we introduced items. While the editor was crude and quite basic it fulfilled our needs. Working with the editor also helped me develop my skills to explain what we needed to the programming team. As the first game at The Game Assembly it was of course a crash-course in game development. While much would have been done differently I still learned many valuable lessons particularly regarding how to interact with other game development disciplines. As a Scrum-master for this project I took it upon myself to organize many things outside of the scrum-meetings and it was a fast track to get to know my fellow students. Today, while smiling at the mistakes made, I still look fondly upon Bedtime Saga because of the warmth and camaraderie we developed in the team. The game, with it's flaws, was still voted the best point and click game at The Game Assembly 2016.